Adderall benefits and side-effects | Does Adderall work? Adderall is a stimulant made from amphetamine salts. 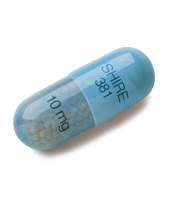 It is used as a prescription treatment for narcolepsy in quick-release doses and ADHD in extended-release form. Adderall is composed mainly of two different stimulants, dextroamphetamine and amphetamine. Adderall is available by prescription to patients who suffer from behavioral problems such as Attention Deficit Hyperactivity Disorder (ADHD) or narcoleptic sleep disturbances. Adderall has several side effects which may be dangerous or even fatal if taken incorrectly, which is why it must be prescribed by a doctor and patients who take it supervised carefully. These symptoms include elevated blood pressure and heart rate. They can be fatal if the medication is abused or if the symptoms go unaddressed by a medical professional. Adderall, like other amphetamine stimulants, may become habit forming. You may experience withdrawal symptoms when trying to discontinue use of Adderall. Lesser side effects of Adderall include dizziness, nausea, loss of appetite, trouble sleeping, stomach pain, dry mouth, diarrhea, fever, nervousness, and mood disorders such as aggression, mood swings, depression, and changes in sexual desire. How Does Adderall Help Brain Function? Adderall works by raising the proportions of dopamine and norepinephrine in the brain. It also acts as a stimulant, increasing blood pressure and heart rate in patients who take it. This gives most patients a feeling of alertness while taking the drug and improves their ability to concentrate on important tasks. Want more information on which supplements ranked better than Adderall? Then take a look at our brain supplement reviews!